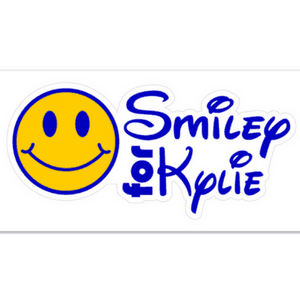 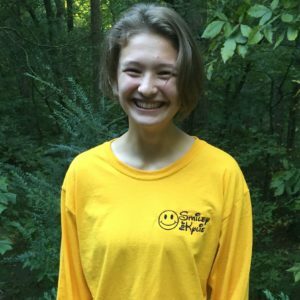 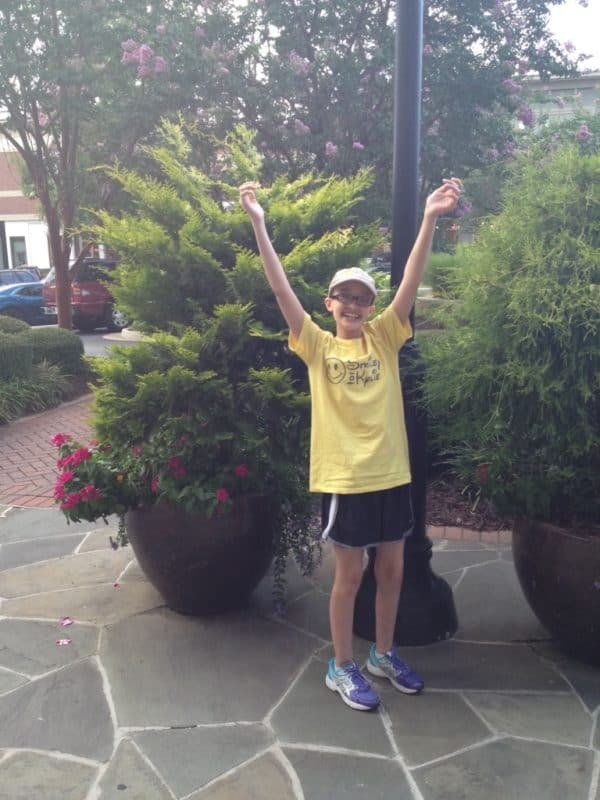 Show everyone you are Smiley for Kylie with her trademark yellow t-shirt. 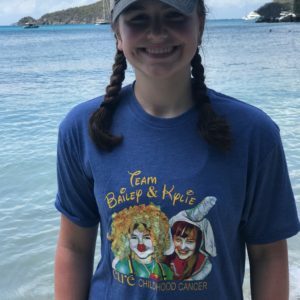 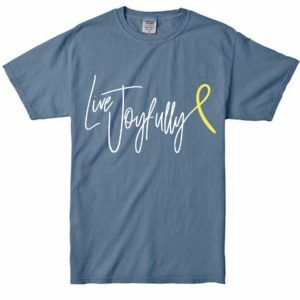 This soft cotton t-shirt has the blue Smiley for Kylie logo on the front left breast with her poignant quote, “I think cancer should die, not the kids” on the back. 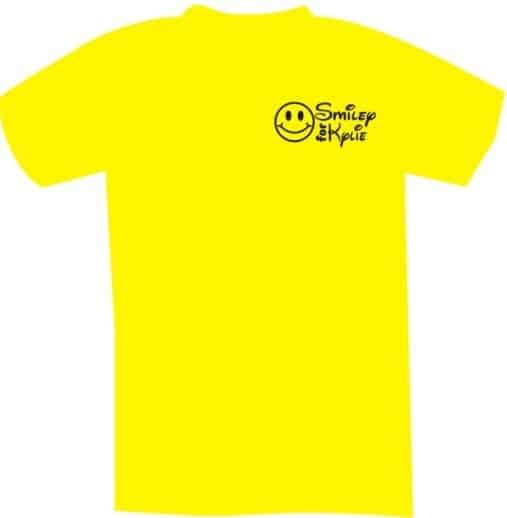 Sizing is unisex.